You are going to love cooking again after trying the wide variety of mouthwatering meals in this instant-pot recipe audiobook. With an instant pot pressure cooker, cooking, preparation and cleanup is a breeze. The recipes in this audiobook make it easy for you to create tasty and wholesome meals at your convenience. Instant Pot Made Cooking Much Easier! Instant pot cook meals softy and it is much safer,simplifies the clean up and in addition saves time. I recently got one for my family just to change from the usual norm of cookers so I bought this book to familiarize myself with the type of meals I can cook. There are many benefits of cooking with an instant pot like you use less energy,food retains more nutrients,grains and legumes are more digestible. 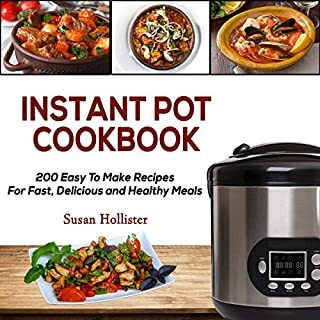 From this book you will also learn about the functions of instant pot which include slow cooker,Electric pressure cooker,Rice cooker,Yogurt maker and can be used as a browning pan. There are some amazing and delicious instant pot cookbook recipes that I found and tried like the banana nut oats and the breakfast burrito with sausages. The lunch recipes are also excellent and I tried the chicken and corn soup with spinach and turned out to be great. Everyone with an instant pot should purchase this book. I have learnt so much from it and I have already referred it to most of my friends. Highly recommended! Whether you want easy-to-make and delicious clean-eating recipes, greater alertness and energy, or just to feel more alive and vibrant, then this is the audiobook you need. Included is a wide variety of health-boosting recipes that are delicious and easy to prepare. Discover vegetarian dishes that will tickle your taste buds and have you looking forward to making - and eating - your own meals. Explore a host of vegetarian recipes, employing the freshest, "cleanest" ingredients that will leave your mouth watering! Clean Eating Is All You Need; Healthy Living! I have been struggling with weight issues for the longest time now and so I decided to start eating healthy and that's why I purchased Clean Eating book. Clean eating means you avoid any processing that changes the food from its original state which is a much healthier state to live and get energy naturally. 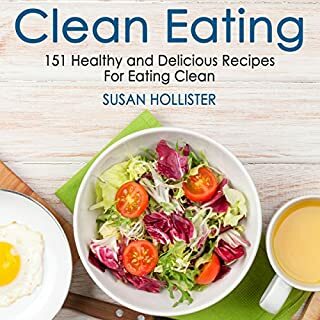 This book illustrates clearly the do's and don't of clean eating which have really helped me so far. There are numerous delicious recipes that one can use from this book with step to step instructions on how to prepare them. Clean foods are filled with vitamins and fresh minerals so why not go for clean eating? This has been the best read this year and I look forward to maintaining a clean eating schedule. This is a must purchase for everyone! Highly recommended. Perennial Gardening Just Got Better! 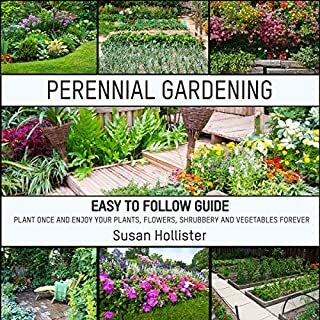 Perennial gardening book has helped me discover a whole world of perennials I can introduce into my yard to enhance its beauty. I have learnt that I can use perennial for therapeutic purposes such as improving my overall mood,sharpening my attentiveness and healing some illnesses. An example is Lavender which help relax and refresh the mind. The best part about this book is that it contains proven steps and strategies on how to properly design a perennial garden and to sustain thriving perennial displays on my property. This book has also assisted me in discovering the benefits of planting perennials and the planning instructions which are easy to follow. This was indeed a nice read and an eye opener. I would recommend this book to everyone out there. Kudos Susan! Proven Step-by-step Instructions On Yoga Poses! Yoga is a series of physical positions with Indian/Hindu roots. All my friends have been doing yoga for the longest time and this got me interested and decided to learn more about yoga. This book has helped me a lot in learning about yoga. Modern yoga is designed to help individuals become more self aware,tuned into their body needs,while opening up to both feelings and intuition. 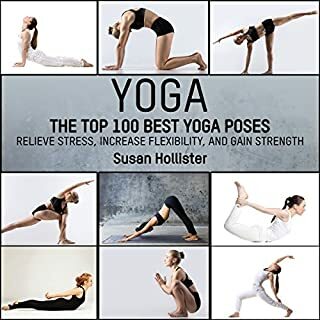 This book by Susan has provided proven step- by- step instructions to help you master the most popular and most broadly effective yoga poses. I have learnt how to nurture my developing yoga practice from beginning to advanced level posses. Yoga has seemingly endless benefits and I believe each one of us should start engaging in yoga. This book will help you find out everything you would want to know about yoga. I highly recommend! Diets To Help Combat Chronic Inflammation! 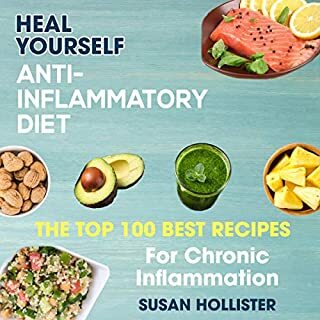 Anti-Inflammatory Diet book will help you manage and prevent chronic inflammation. Chronic inflammation causes diseases such as diabetes,heart disease,arthritis etc.Fighting chronic inflammation calls for lifestyle changes. I found amazing recipes in this book enough to provide good eating and wonderful variety for months of culinary enjoyment. Anti-inflammatory diet include fruits,vegetables,spices,herbs,yummy fats and tasty sweets. This book has helped me understand chronic inflammation and the successful ways to combat it. This is a must read for everyone out there, those suffering from chronic inflammation and those looking to prevent it. I highly recommend this book! Thank you Susan. Family Gatherings Just Got Better With Fun Games! 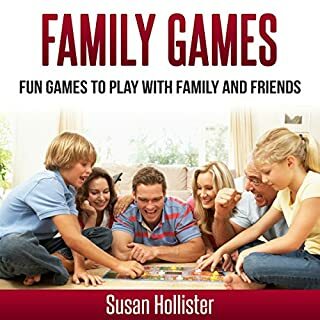 During family gatherings we often find ourselves with nothing to participate in that's fun and that's why I purchased this book to give me ideas of family games. This book exposes you to a broad variety of games with simple instructions. Games provide hours of entertainment and for children,games help them build themselves and reinforce crucial skills. Games help people improve their focus and attention skills,strengthen planning and prioritization,problem solving or memorization. Each chapter of this book covers a specific category of games this making it easier to find a game that suits your needs. Family gatherings just got better with family games. I highly recommend this book. Nice read! Tips To Prepare A Workable Business Plan. For a business to be successful one has to have a plan. A business plan is what keeps a company together and what helps the employees make the best decisions. A business plan can help improve the stability and success of your business. 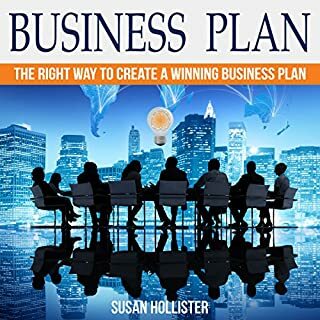 This book covers the basics of business planning and an easy and understandable way.This basics include, obtaining a loan,seeking investors,separating dreams from realities,selling your business and building your dreams. You also learn of the common mistakes people make and how to avoid them. What better book to read before starting your business. Am now geared up for the business journey ahead. Highly recommended! Quit Drinking With Simple, Easy Steps! Alcohol can have negative effects on one's life if not taken with control. 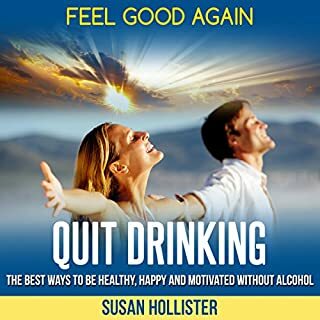 Quit Drinking is a book that will assist you in quiting Alcohol. Alcohol use overtime can impact your entire body. It can damage your liver,gallbladder,pancreas,brains,bones. Alcohol has financial cost,impacts on relationships therefore Alcohol adds no value to our lives. There a lot of benefits when you are Alcohol free and this includes,reduced fatty liver,physical fitness,smoother skins. There are also dangers to watch out for like danger signs of Alcohol detoxification,Social drinker vs Addiction,Withdrawal etc. This book has great best Natural Methods to enhance Physical,Mental and Spiritual health. 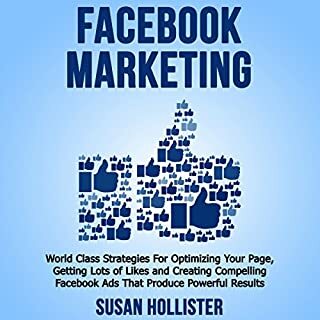 You also need a great support system and this book will assist you with this. I am on my way to recovery from my drinking problem. I have learnt several lessons from Susan and am braced for change. I highly recommend this book to everyone. Go grab your copy now! Launch a business startup the right way! Whether you have (1) a new product or service idea, (2) a fresh way to do business, or (3) you want to know the best strategies to make your startup successful, then keep listening. 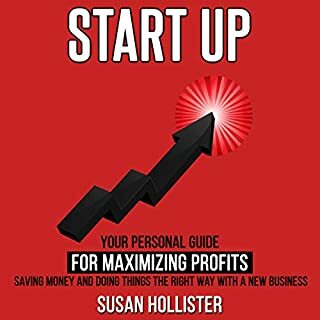 This book will easily guide you through the process of starting up your new business for maximum success potential. Thinking of starting a new business?This is the book for you. This book teaches you about creating a start up that stands up the best chance of success. You get to learn how to brainstorm incredible ideas,bringing your idea to life,how to easily make a great business plan etc. If you don't have ideas on what to name you startup then this book has you covered with the best strategies for naming your startup. Selecting a location for a start up will require much thought and research and this book has helped me in doing this. If your thinking of a start up then this book will help you as it covers all areas required for a start up. I highly recommend!